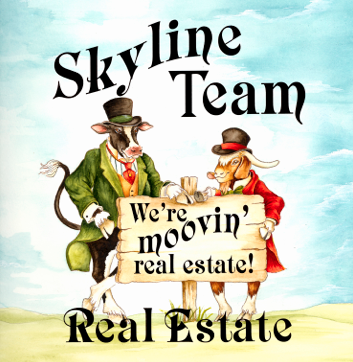 Skyline Team Real Estate was established to provide comprehensive full-service real estate services to the Northern Shenandoah Valley. We are committed to seeing the American Dream of Home Ownership become a reality to all who desire to achieve such a goal. On our site you can search for homes in Woodstock, Toms Brook, Maurertown, Strasburg, Edinburg, Mount Jackson, New Market, Basye or other areas; checkout our Dream Home Finder for homebuyers and sellers can obtain Free Market Analysis, for more information about Our Team, call us today to see how our professionals and your Shenandoah Valley REALTORS® can serve you. In a hurry? Use Quick Search or Map Search to browse an up-to-date database list of all available properties in the area, or use our Dream Home Finder form and let us do the work for you. If you're planning to sell your home now or in the future, nothing is more important than knowing what the market prices are bearing. We would love to help you with a FREE Market Analysis. We search the MLS for comparable sold listings to help you determine the accurate market value of your home, it's important to know your homes value. We can also help you find rental properties in Shenandoah, Warren, Frederick, and Page Counties. For your convenience, here is the application for rentals.